Executive Chef/ Owner Chris Kobayashi graduated at the top of his class at the California Culinary Academy in San Francisco. He's also acquired his Certificate in Baking and Pastry at the Culinary Institute of America in Napa Valley. With his education and eclectic experience, Kobayashi opened the doors of Artisan Restaurant with his brother, Michael. Together, they create ever-changing menus of inspired cuisine with locally sourced ingredients. 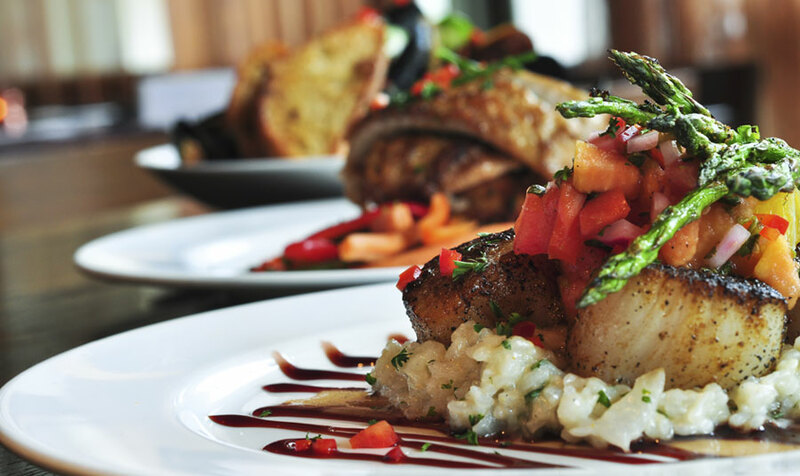 Refined and responsible, Artisan Restaurant is a very popular dining spot in the Paso Robles region. Artisan dishes up diverse menus that will make your mouth water. Come in for brunch, lunch, an afternoon meal, dinner, or a special Monday night supper. The farm-to-table foods will treat your taste buds to creatively crafted courses. Nourish your body with organic produce, wild-caught proteins, and foods free of antibiotics and growth hormones. This is an American fine dining experience that embraces the trend toward contemporary clean eating. Enjoy a memorable meal with a special someone as you scan menus for wood-fired pizzas, small plates, and sophisticated entrees. Sample creamy homemade risotto, sustainably sourced seafood dishes seared to perfection, and savory meat and cheese plates. The rich fare is sure to satisfy, but don’t forget to save room for dessert. Chef Kobayashi creates decadent masterpieces like butterscotch pudding, house-made cookies, peach crisp with fig gelato, and marjolaine cake with coffee ice cream, candied almonds, and fudge. With a full wine list, artfully mixed cocktails, and a stellar craft beer selection, you can’t go wrong. Call in reservations at (805) 237-8084, or online at artisanpasorobles.com while you stay at our nearby Paso Robles hotel.